For over 30 years Ashland Accounting and Tax Service has been providing quality accounting, bookkeeping, payroll and tax services to small businesses and individuals. The cornerstone of our success is our commitment to providing quality and timely products and services to our clients at an affordable rate combined with outstanding personal service unparalleled in the industry. Please feel free to email or call us at 541-482-3221 or 541-482-3288. With Ashland Accounting "Payroll Service" you will be working with experienced payroll professional who knows you and your business personally. One monthly fee includes monthly, semiweekly or biweekly payroll, quarterly payroll taxes, filed electronically, electronic payment of Payroll taxes, year-end reports and more. Ashland Accounting and Tax Service provide extensive range of accounting services for your small business. We offer monthly and quarterly tax reports, monthly and quarterly financial statements, and detailed monthly sales and disbursement ledger. Our "Bookkeeping services" are suitable for business of all industries. We offer daily, weekly, and monthly services based on your needs. Our outsourced bookkeeping is a popular choice among our clients. Simply fax, scan, or mail your invoices, deposit slips and bills to us. We'll enter your transactions, reconcile your accounts and set your bills up for payment. 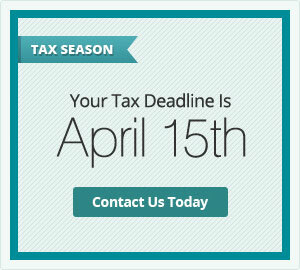 We can assist you with any and all of your tax issues. With a lot of experience behind us, our qualify team of tax professionals is at your service. So, come, let us help you with your personal and business taxes. Forms and necessary statements include 1040 - Individual, 1120 - Corporation, 1120S - Sub Chapter S Corporation, 1065 - Partnership/LLC and ALL states income tax returns prepared. Thank you for contacting Ashland Accounting! Your submission has been received. A representative will be in contact with you.